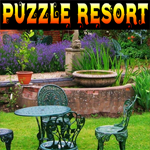 Games4King - G4K Puzzle Resort Escape is another point and click room escape game developed by Games 4 King. Assume that you were in a resort on a vacation. You brought a rustic rat to the resort. But unfortunately the rat gone out and you couldn’t find your rat. So use your skills to collect the necessary items by solving few puzzles in the resort to escape from the resort with you rat. Good luck and have fun! Don´t understand WINDOS clue inside house. inside...? how did you come in? do the spinnies on door..
solving flowers spining puzzle on the door. tip.. 4 digit code is actually a clue..
For WINDOS, press the letter before or after the noted letter as shown (for W consider S to be the letter before). Still don't get Windos puzzle. Quickdraw, the 1st letter is I (letter right of W), 2nd letter is I (letter left of N); 3rd letter is S (letter right of O), etc. what about the color code? Thank you. I kept thinking windows. grief! Lilly - the color code is by lowest number to highest number. First one is Yellow (2). I have watering can and light bulb. I though the 4 digits would be for scene with present but no go. watering can is used on bushes left side of stairs. Roberto, thank you for the snake lady picture. Thanks Roberto, now stuck with bulb. and still need many clues? I'm thinking the purple and red dots in the scene with the chickens is a clue to the purple and red wheel on the door. how did you open the door? Yin-Yang hint: count lines in each corner symbol and enter numbers on right-hand house, start scene. Sorry - I guess most of you solved that clue ages ago, lol! Where´s the clue to push the arrows? Te red and blue dots right side? Where this order came from? the clue for red/blue puzzle is in the same scene. start from the lowest to the highest dot. where is the place for bulbs, please? Roberto, the clue is from the red and blue dots with the "legs" in the yellow bird scene. You follow the blank dots up from the bottom. The lowest dot is left blue, the next one up from there is left red, then right blue. Don't know why the puzzle clue was made so dark. you mean red/blue puzzle the arrows in 45 degrees? Roberto, the clue is the red & blue dots and is used on the arrows, yes. lol! I didn´t realize the brown lines and spots on that clue. Had to change my screen brightness. Thanks Maximom. You're welcome, Roberto! Don't know why developers think they're clever making things so dark. How did you open the door left side of WINDOS? Is there a puzzle on the door? Or a clue? Can´t click on it. Ah! Thanks Orit. Nothing happens when you click on door puzzle but it works. I got my 3rd bulb after putting 3rd blue flower. Wait Lilly don't go! I can't figure out the chickens. Thanks so much for the help Sisli! Thanks Sisli but that is 8 clicks. It works but I have no idea how you figured it out. Clue for birds is very weak. Why 4576?